“I infused them with organic extracts for anti-aging results.” She started gifting these products to friends, and they wanted to buy them as gifts for their friends. She became the “accidental entrepreneur”. Now Angela runs a group of holistic facial spas in New York City's West Village and Upper West Side, and in upstate New York. 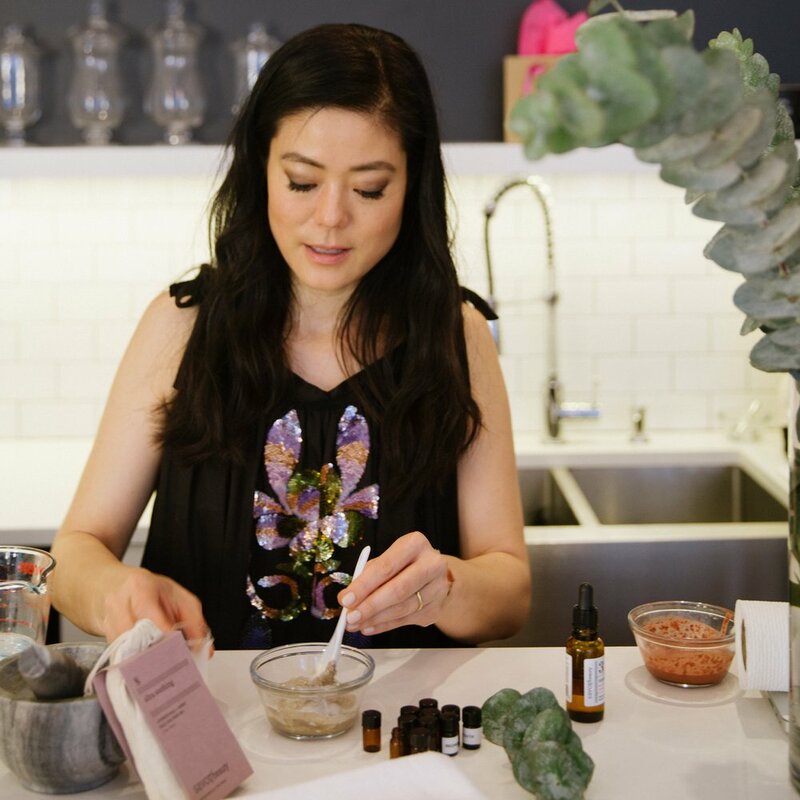 She continues to develop luxe organic products in the Beauty Kitchen with her team of Savor Spa Estheticians. Angela Jia Kim is a former concert pianist, wife to a Swissman who loves to brew craft beer in his spare time, and mom to a second grader CEO and a yellow lab named Ella Fitzgerald. They live in New York City's Upper West Side. Before a concert, making creams!